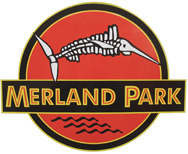 Merland Park 5th Annual Ice Fishing Derby a Huge Success Again this Year! Halloween Charter Brings in Some Beauties! September Fishing Charters Are Going Strong! 2012 Summer Fishing Charters A Huge Success! Beautiful 9 lbs Lake Trout was caught on Easter weekend. Caught this afternoon 10lb and 8 lb Lake Trout.